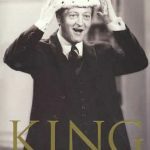 Graham Kennedy Ray Martin Presents Graham Kennedy King - I.M.T. 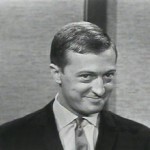 Graham Kennedy has won more TV WEEK Gold Logies than anyone else, with a whopping seven of the awards to his name. He became one of Australia’s first big TV stars when he began hosting In Melbourne Tonight in 1957. During the ’60s he was a household name and was soon recognised as Australia’s King of Comedy, bringing a bawdy, vaudeville style to the small screen. After 15 years of IMT Graham was rarely seen on TV until the mid-’70s when he hosted Blankety Blanks. The panel show frequently descended into mayhem and clowning – predictably it was a ratings hit. 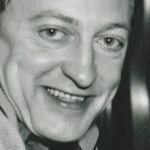 In the latter part of the 1980s Graham turned his hand to news and co-presented Coast To Coast with journalist John Mangos. The mixture of mainstream news and comedy was an unlikely success. 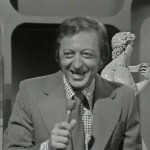 Then in the early ’90s he hosted the popular Graham Kennedy’s Funniest Home Video Show. In recent years, due to failing health he has withdrawn from public life. In 1998 he was inducted into the TV WEEK Logie Hall Of Fame, and his award was accepted on his behalf by his old friend Bert Newton. 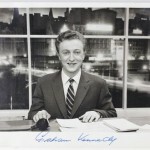 In the cavalcade of television personalities, a bit like Australia’s Hollywood, the name Graham Kennedy shines brightest. His life story has become folk-lore, especially in Melbourne, the strange little kid with the bulging eyes, the lonely only child of divorced parents, and growing up in working class suburb. He got his break as a radio sidekick, then fronted a live TV show that nobody thought would last more than a few weeks. But nearly half a century later, he is still called ‘The King’. 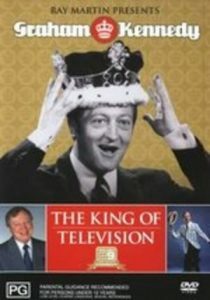 During this special presentation of ” The King of Television” you’ll see Graham doing something that he rarely did, something that made this accomplished performer truly uncomfortable ? 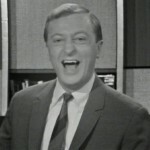 that was talking about himself PLUS “Classic Kennedy comedy from IMT, Blankety Blanks, Coast to Coast and the Graham Kennedy Show. There’s also skits and sketches from the early black n white footage AND the very first IMT in its entirety. 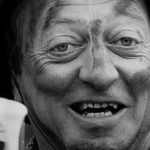 Graham Kennedy will always be remembered as our first and probably only King of Television. Graham made Australians laugh and now you can relive those classic moments in this special presentation. Enjoy!